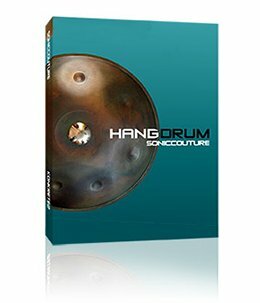 Soniccouture recently released a unique sample library for Kontakt: Hang Drum. So what is a hang drum exactly? A hang (pronounced ‘hung’ or ‘hong’) is a melodious percussive musical instrument, similar to a steel drum. It uses many of the same physical principles to operate. However, since it is struck with the fingers, the sound is generally much softer than a steel drum, and can be played in many ways to produce a wide variety of sounds. First invented in 2000, these instruments are hand-built by PANArt (Swiss). Hangs are hard to find since PANArt only produces them on demand (and if they agree to build you one you might have to wait a few years before actually getting it). If you’re unfamiliar with the sound of the Hang, just check some of these videos on YouTube. I don’t know about you, but I fell in love with the sound of these instruments instantly. The Mk 1 had 8 notes around the Ding. These were available in 45 different tunings, and PANArt produced nearly 4000 of them. The Mk 2 is basically the same shape but has a brass coating on the top as well as around the rim. The Mk 2 comes in only five different tunings and has only seven notes around the Ding. It is a more sturdy design, stays in tune better over time, and has a slightly longer and purer ring. Both hangs were sampled in great detail, resulting in over 1000 samples (24 bit, stereo) per drum, with up to 21 velocity layers. There are up to 3 alternate round-robin versions for each hit (different samples alternate as notes are repeated). Various areas of the hang were recorded (Gu, Ding, Outer Ding, Tone-field Centre, Tone-Field Edge, and in-between the Tone-field), and played with finger, slap and knuckle. These modes can be triggered by simple key switches. Here’s a little sound clip I came up with after a few minutes of playing around with the Mk 2. It only features the Hang Drum, Lazysnake and 2 beats I did earlier (14 sec. 192kbit). Soniccouture has a bunch of audio clips available on the Hang Drum page, so check those for more examples what the Hang Drum library sounds like. Both Hang Drum instruments include a Kontakt script called the “Hang Jammer”. This generative pattern sequencer tool allows you to create patterns, randomly built upon the notes you play. You can set a number of randomize levels (i.e. velocity, timing, notes, etc.) for a human feel. This can be a great feature for live performances. There’s also a Tweak page which allows for control of built-in delay, filter and reverb effects, so you can easily manipulate the sound of the hang drums. Well, I’m pretty excited about this instrument! 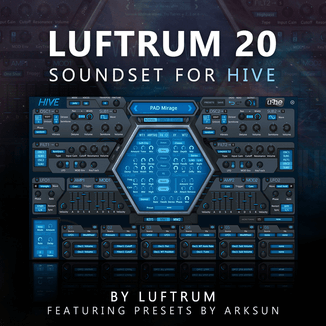 Not only is the sampled material of the unique Hang instruments of outstanding quality, the massive amount of individual samples (2.4GB) makes for a very “realistic” instrument with a lot of depth, an absolute joy to play with. Soniccouture’s Hang Drum is probably the closest you’ll ever get to playing a hang without actually having one in your lap. To top it off it has a very reasonable price of £49 GBP (~$100 USD), so thumbs up for Soniccouture Hang Drum.